Technical Info. 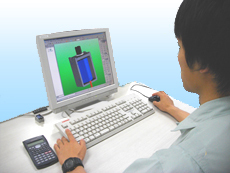 | TDS Co., Ltd.
TDS is driven to provide best products to customers’ needs with flexible and innovative ideas in designing and development - that increases reliability in our products. General information to select solenoids using pull force characteristics of DC solenoids (stroke vs. pull force, power vs. pull force) from the product data sheets online. The standard solenoid specification of open frame solenoids online. Precautions for safely using solenoids. Definitions and terminologies frequently used for solenoids.